Hey you there! 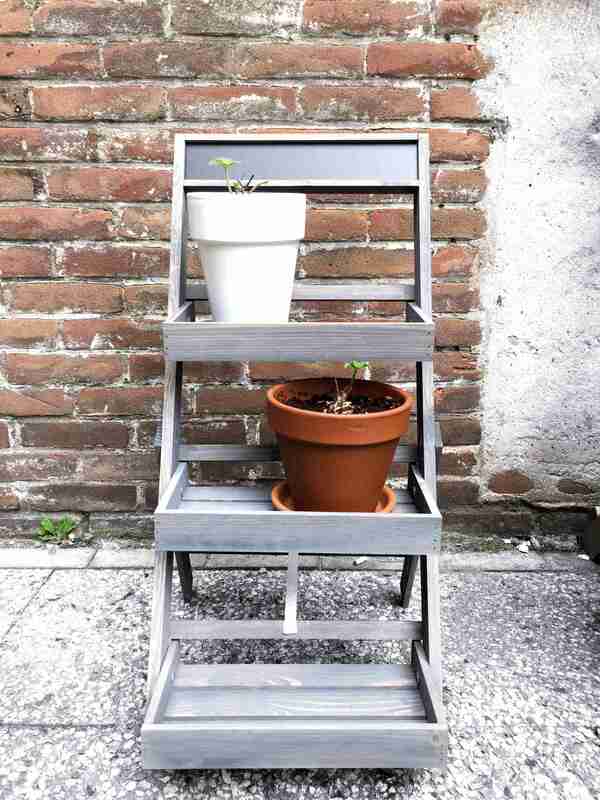 Are you also interested in growing your own medicinal and culinary herbs and flowers? Be sure to tag along this adventure and maybe we can grow some things together, make sure to check out part one of this series! 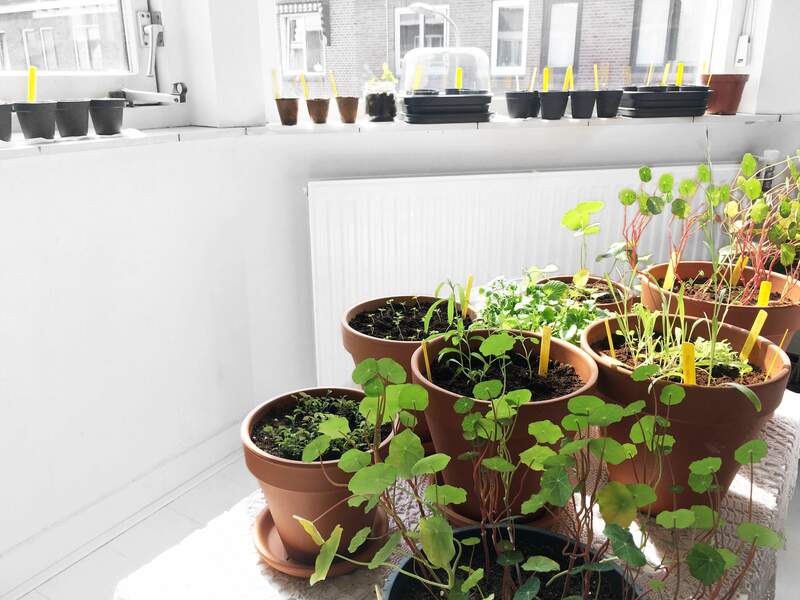 This post will serve as a bit of an overview of the plants I’ve planted so far, this way we could plant some similar plants as I’ll be using them in future recipes. I’ll try to keep these series as short & sweet as possible, going more in-depth on certain plants and flowers in separate posts. The next couple of posts will have a different format, discussing specific topics. New seeds have been planted. 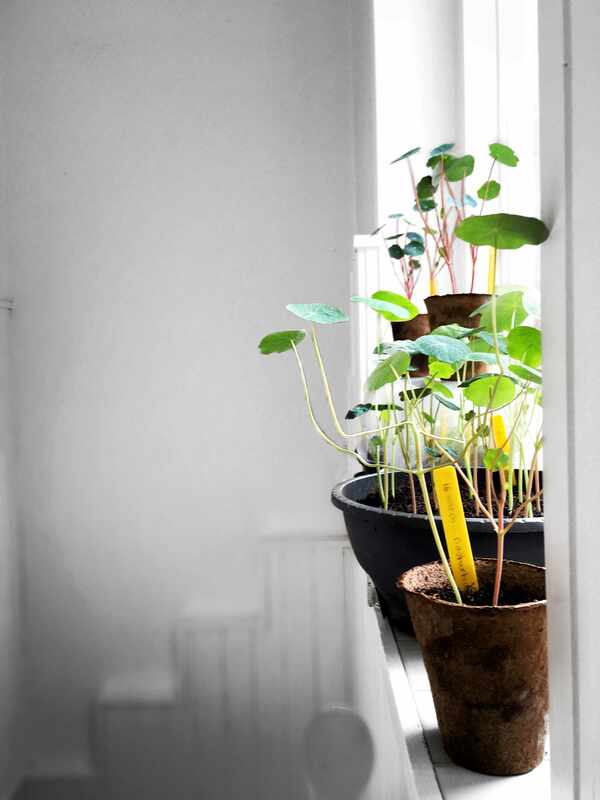 My first batch of nasturtiums are thriving, besides some yellowing of the leaves which happens when you over or under water them. I transplanted the little starter pots to a larger pot and the first flowers have started to appear! 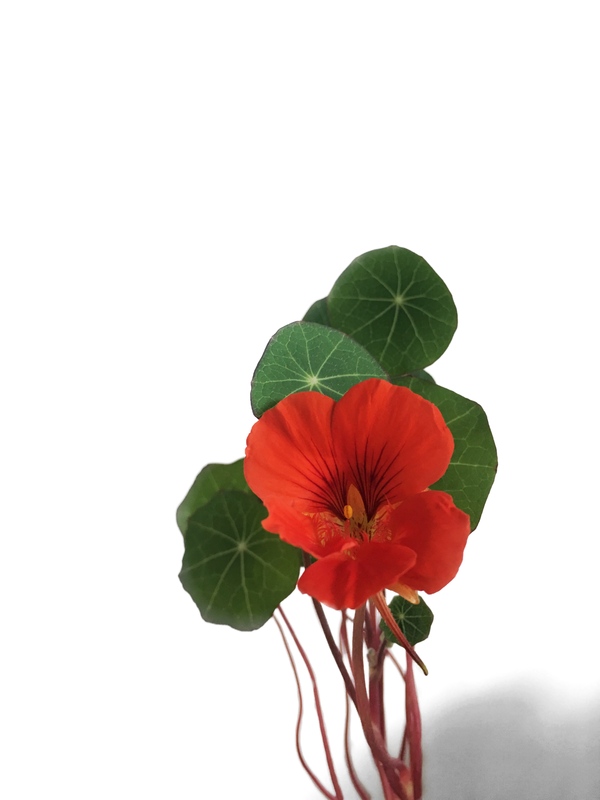 This means we’ll soon be having nasturtium flowers on the menu. The plants that started outdoors have adapted to the weather and got a very thick stem with low leaves. The wind barely moves it compared to the once started inside, which shake the moment a gust of wind come by. 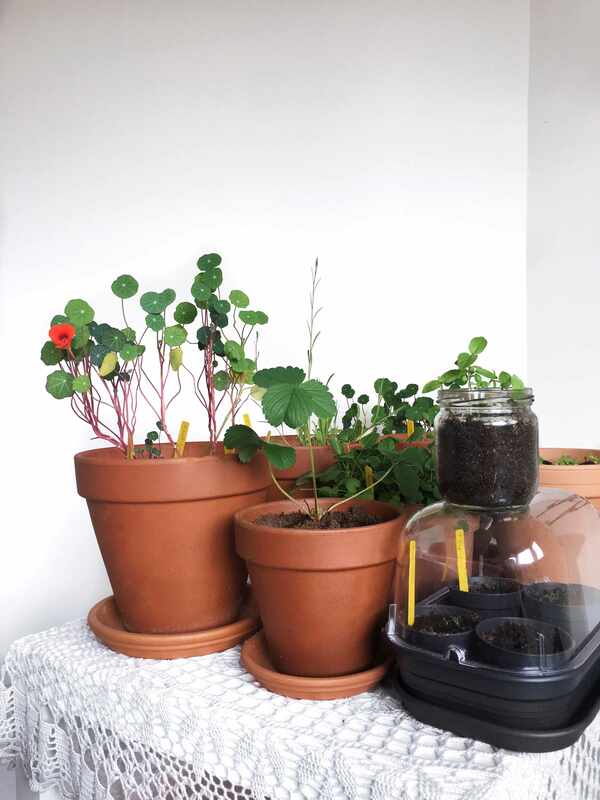 The second batch of nasturtiums planted directly in a container are thriving and growing large, these have been inside ever since I’ve planted them and sprouted the 2nd of April. The third batch of nasturtiums I also planted directly in a pot, this time planting fewer seeds to see if they’ll grow larger. Since the weather has started to become a little warmer I decided to leave these outdoors. One thing’s for sure, we’ll have plenty of basil this summer! I’ve planted Dark opal, Cinnamon, Lemon and Thai basil and made a little planter combining the last three. Here I also made a lot of mistakes, which I’ll discuss in a separate post. The pansies are thriving in their little pots and I’ve decided to get some more different pansy seeds to add to the collection. I’ve added a couple of different varieties of pansies to the collection which I’ll give a nice and shady spot in the garden, as I noticed that they do not enjoy the scorching sun! 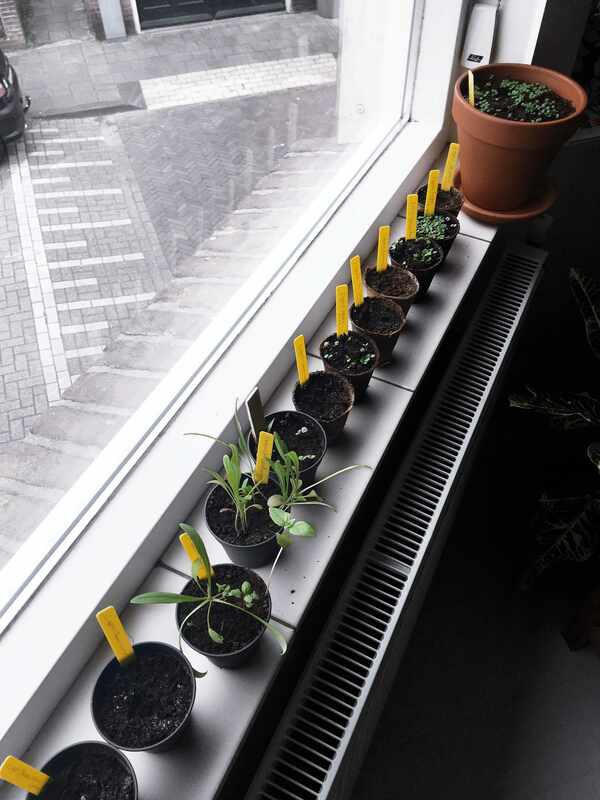 By now I’ve transplanted several other plants, but more on those later otherwise this post will become a never-ending story! Bare with me I’m a complete beginner so I’ll be making rookie mistakes, but these are the ones that will teach you the most! Don’t be afraid to mess up a little. 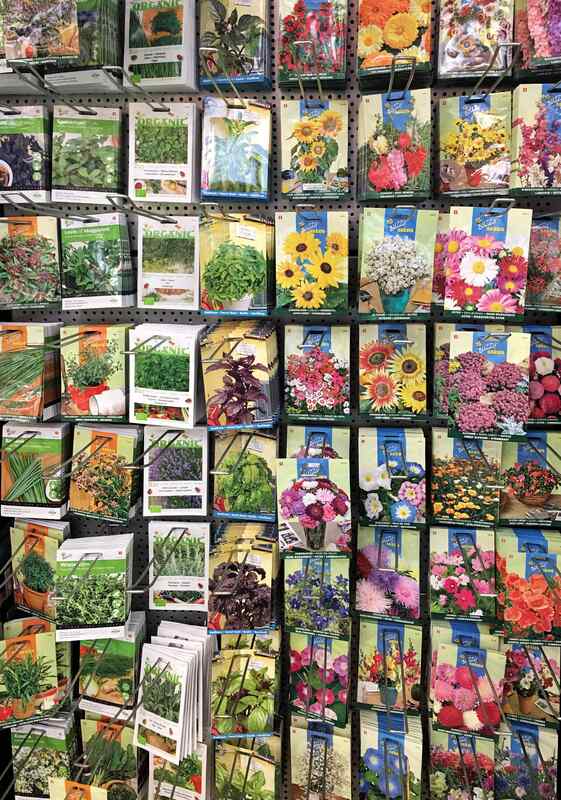 As simple as it sounds, that each plant has different requirements when it comes to water, sunlight and temperature and to do more research on each individual plant. That for some plants it is best to immediately start them on their place of destination (whether this means a pot or soil). 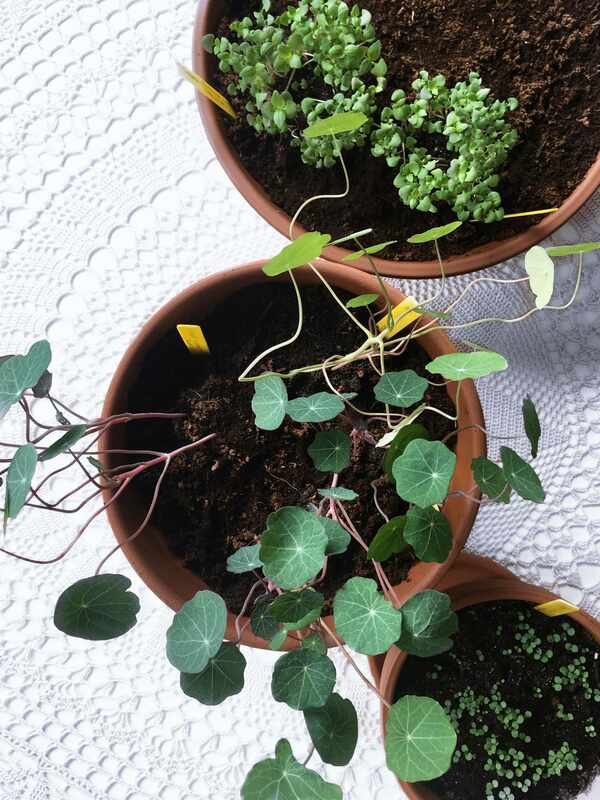 Especially since I noticed that the nasturtiums that were planted directly in pot grew way quicker and with bigger leaves than the ones in the starter pots. We’ll be back with another Gardening Adventure next week! We might discuss a certain topic weekly, so feel free to let me know what your opinions in the comments below.